If you're considering a hip replacement please read. Back in 2013 both my hips were replaced. The left one is okay but the right hip was botched. To begin with the right hip has suffered calcification of the soft tissue. 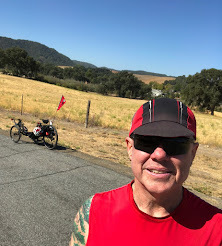 It hasn't gotten any worse after the first year and I've learned to mitigate the stiffness it causes through exercise, cycling and an occasional deep tissue message. The other problem caused by the replacement of my right hip is the atrophy of the medial head of the Gastrocnemius of my right calf muscle. It took a long time to recognize the problem. 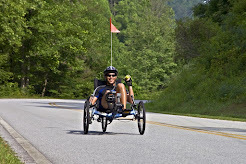 I've concluded that there is nothing I can do on my own to build up the muscle. 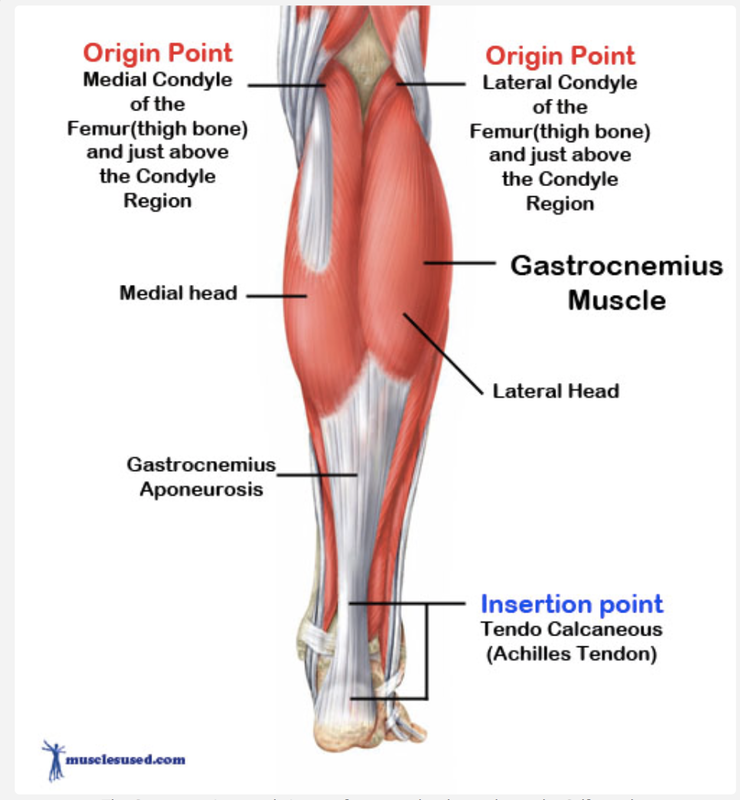 I can't get that part of the Gastrocnemius to fire up. I'm assuming that the nerves were damaged (or blood supply was damaged) to that part of muscle. It might been caused by the torture table that was used to rotate the hips open as part of the anterior hip replacement procedure. Severe twisting of the lower leg to open the hip joint is my guess as to what caused the damage. Next week my visit to a neurologist for a complete scan will help me figure out what's wrong and if there is anything I can do to recover the lost muscle. 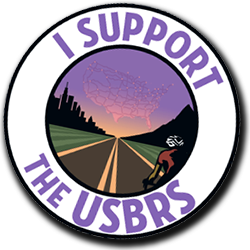 For now I've become used to the situation and it has no pronounced effect on cycling. 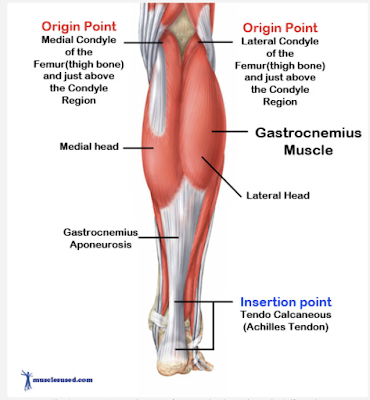 The Gastrocnemius attaches to the back base of the Femur. 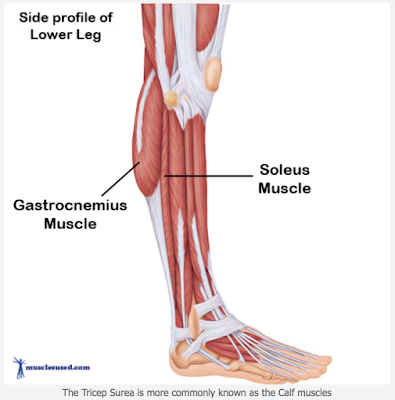 Along with the less powerful Soleus muscle which attaches to the top and back of the Fibular the Gastrocnemius and Soleus comprise the primary muscles of the calf. So I still have enough strength to stabilize the lower leg and angle. However walking is a little funky. For now a good trekking pole for long walks helps me maintain a more normal walking gait. I would think twice about doing the Anterior hip replacement again if I had more hips to replace.